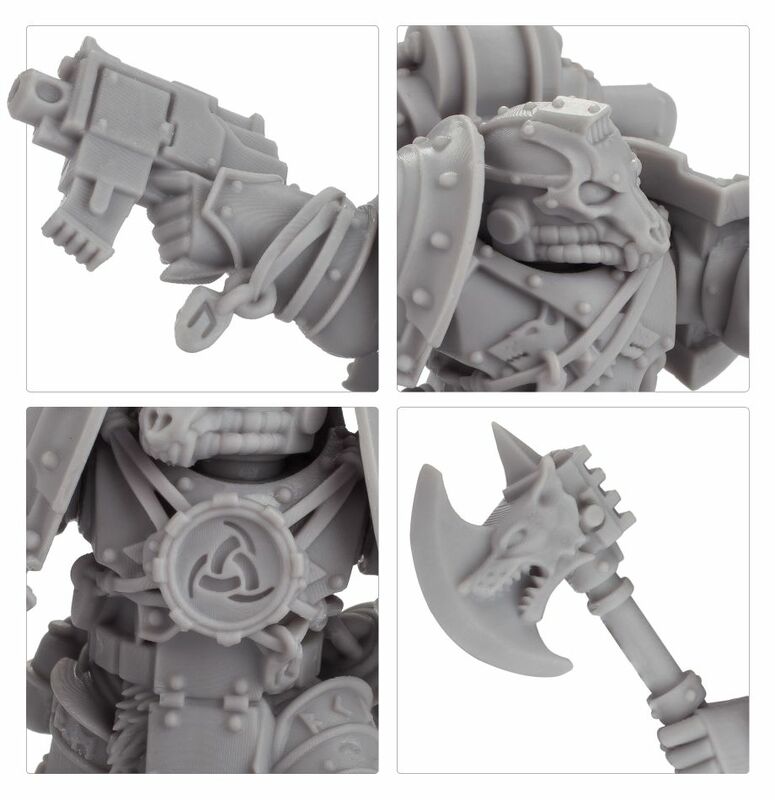 Von Forge World erhalten die Krieger von Fenris neue Modelle für die Horus Heresy und für Herr der Ringe kommen zwei neue Ork Helden. 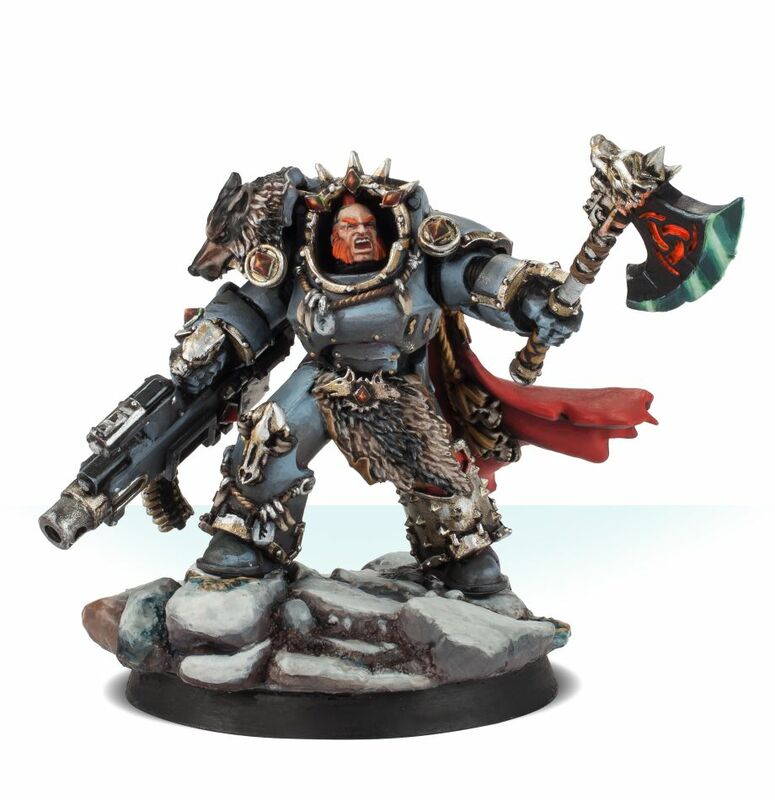 The commander of the Fourth Great Company of the Space Wolves, Hvarl Red-Blade had a reputation as a dourly humorous and often choleric-tempered warrior, whose greatest joy was to be found in the din of war and whose battle-cunning was something of a legend. Master of his Great Company for more than five decades at the time of the Razing of Prospero, he was a veteran warlord as renowned for his scourging tactics as he was for encouraging the taking of heads from the enemy fallen as a form of competition among his warriors. Though considered volatile and perhaps a little insane by his fellow Jarls and Thegns, Hvarl’s often striking insights into a foe’s plans and motivations made his voice one that was still well-respected in the Einherjar – his Legion’s war council – while in battle, his sharp-witted savagery was counted on by his Primarch to leave nothing alive in his Great Company’s wake. 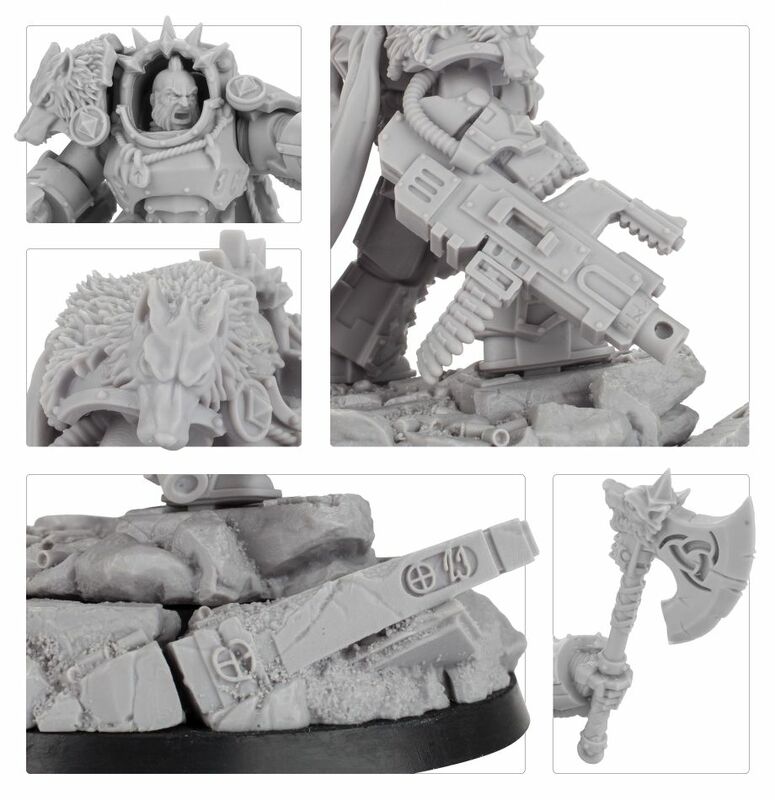 Why carry a combi-bolter when you can carry a heavy bolter instead? That’s how Jarl Hvarl Red-Blade see things, anyway! 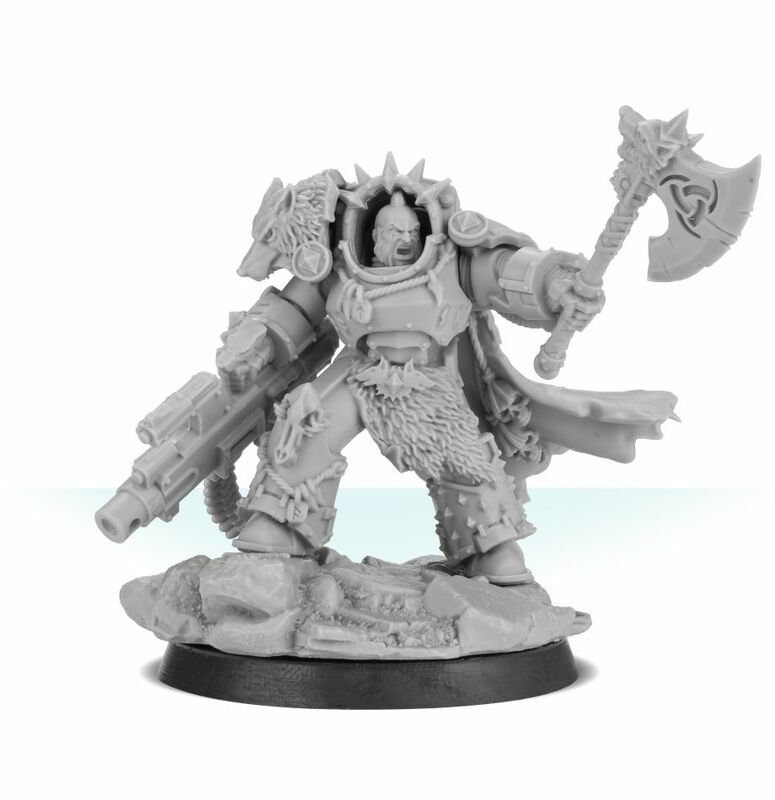 If you’re after a suitably imposing and tactically nuanced Warlord for your Space Wolves Legion, Hvarl Red-Blade is the HQ choice for you. 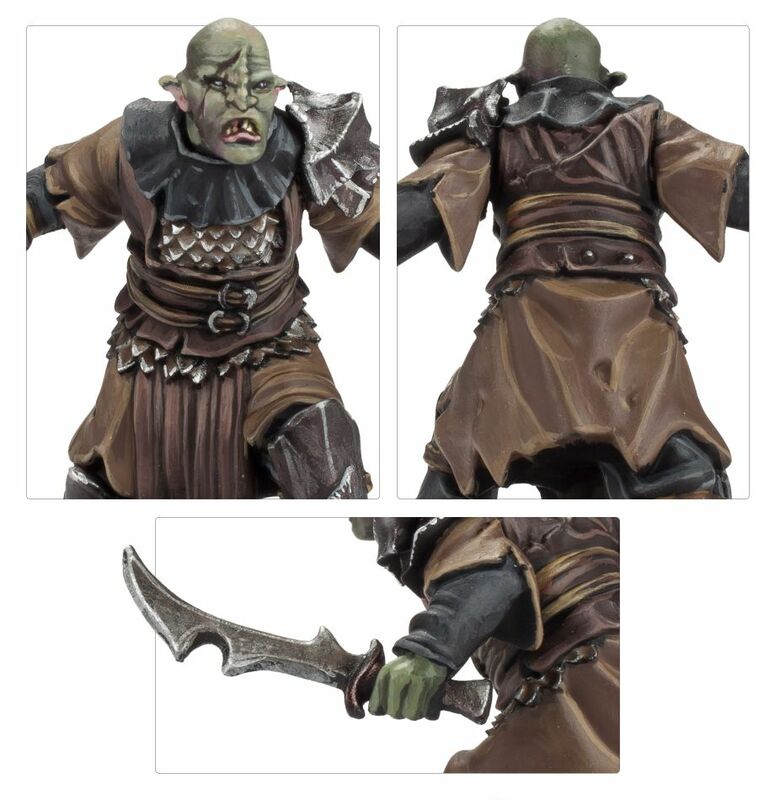 Hvarl Red-Blade is a 12-piece Character Series model cast in high-quality resin and mounted on a detailed display base. 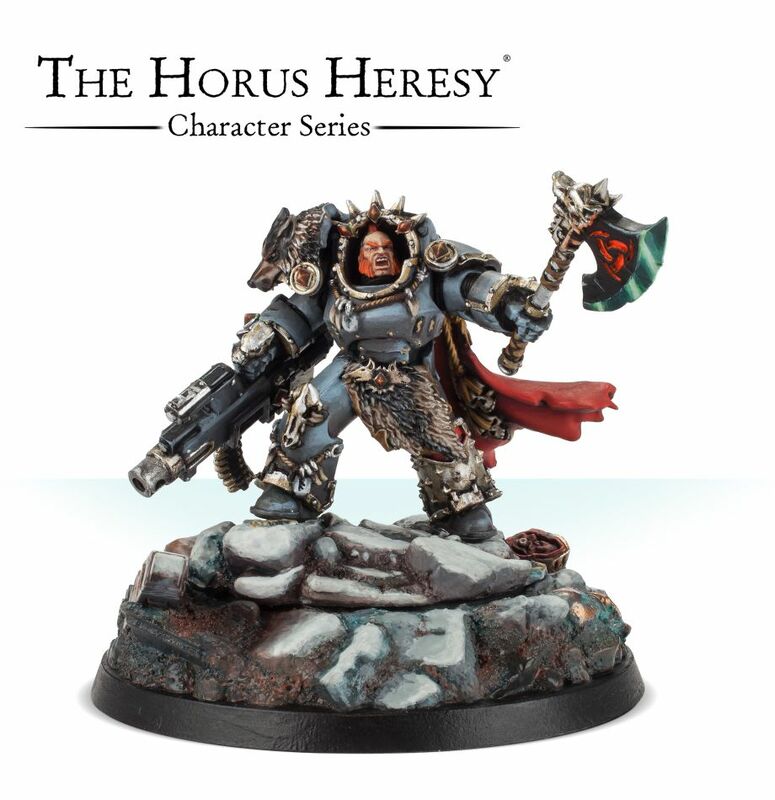 Rules for this Character can be found in The Horus Heresy Book Seven – Inferno. 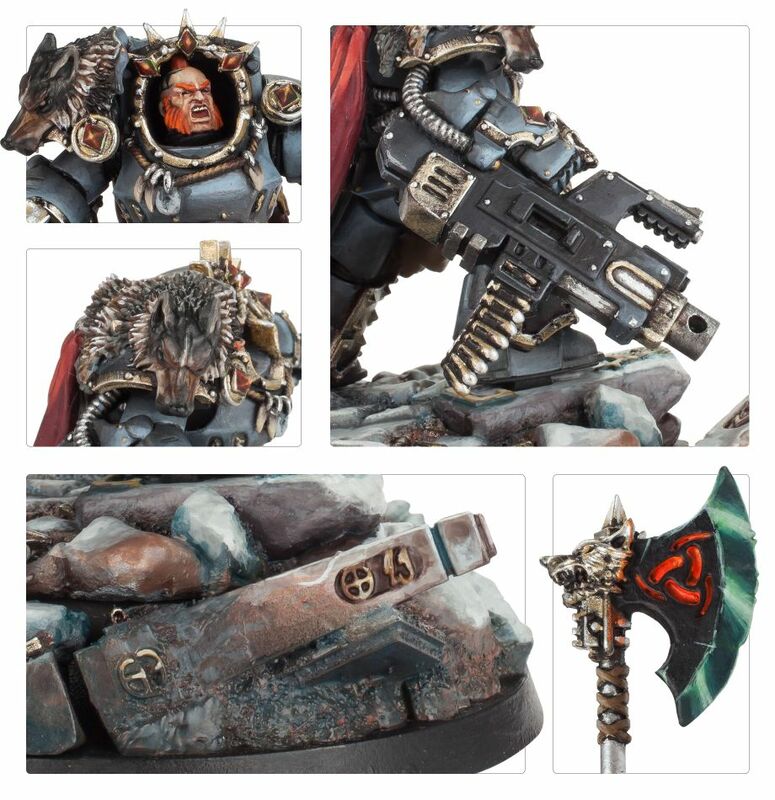 Within the Space Wolves, those with an all-consuming impulse to kill and kill again were selected by the Cult of Morkai and its ministers, who ensured with proper reverence that the jaws of the Death Wolf could feast upon the enemies of Mankind. The warriors who gave themselves over became the Deathsworn; marked by their wolf-skull helms, they were the embodiment of the hunger of death in the heart of the Legion. The Deathsworn Pack includes 5 miniatures wearing the iconic skull helms of the Cult of Morkai. Each of the Deathsworn is armed with an axe, bolt pistol and Yimira class stasis grenades. 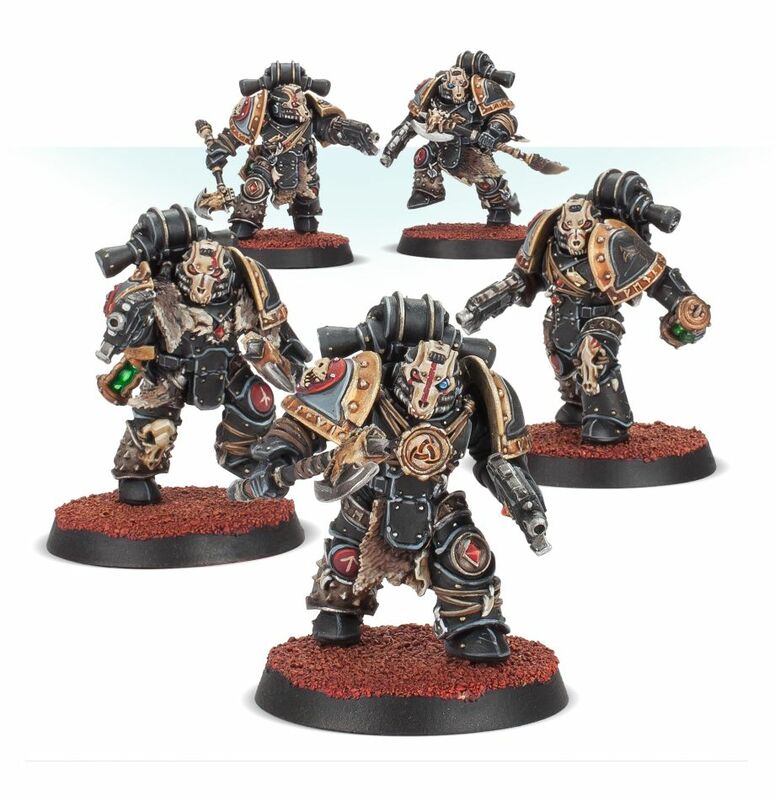 Together, they form a murderous Elites choice for the Space Wolves Legion. The set consists of 42 components cast in high quality resin. Rules for this squad can be found in The Horus Heresy Book Seven – Inferno. 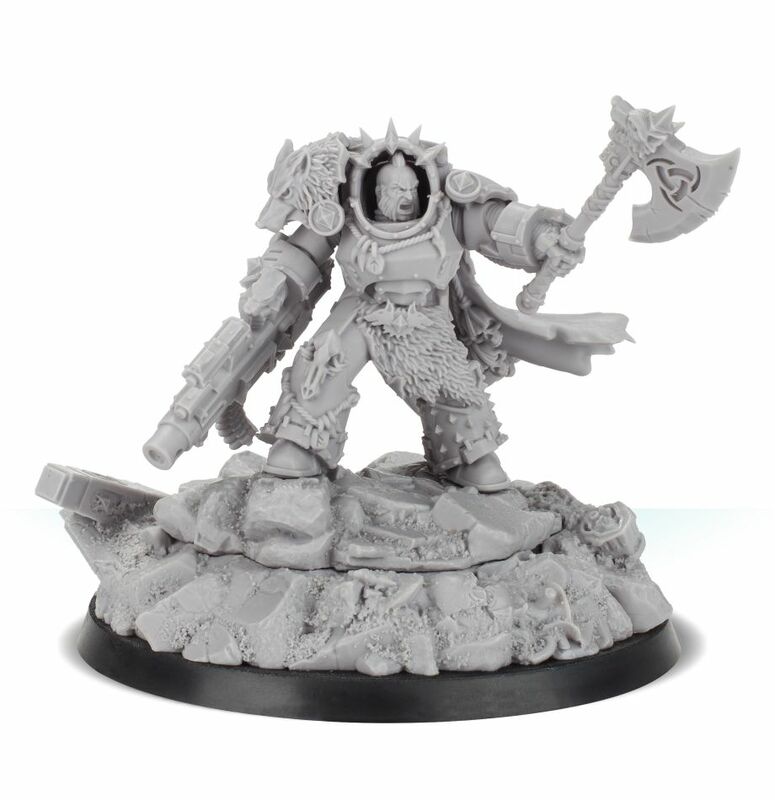 All miniatures are cast in high-quality resin. 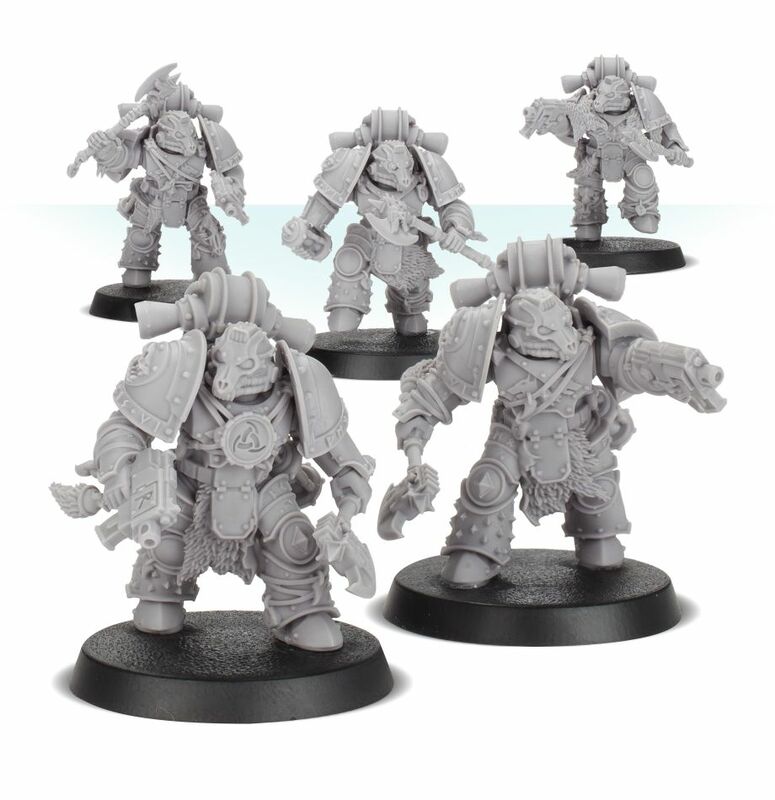 Rules for these units can be found in The Horus Heresy Book Seven – Inferno. Tasked by Gothmog with spearheading the Mordor attack through the broken gates of Minas Tirith and over its walls respectively, Goroth and Zagdûsh took fierce delight in taking the city by storm. 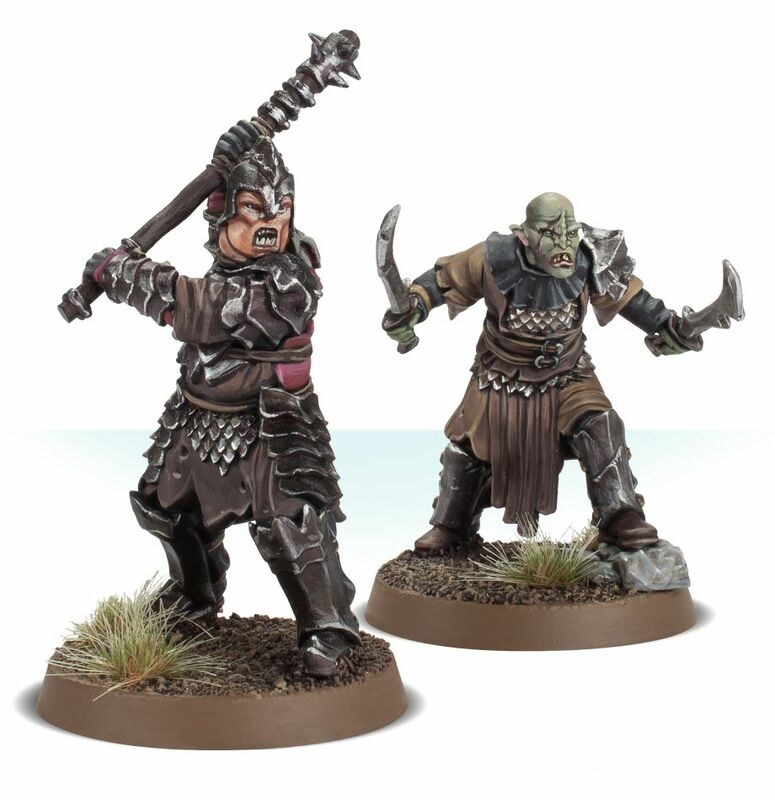 Goroth and Zagdûsh are two Heroes for the Mordor army lists. 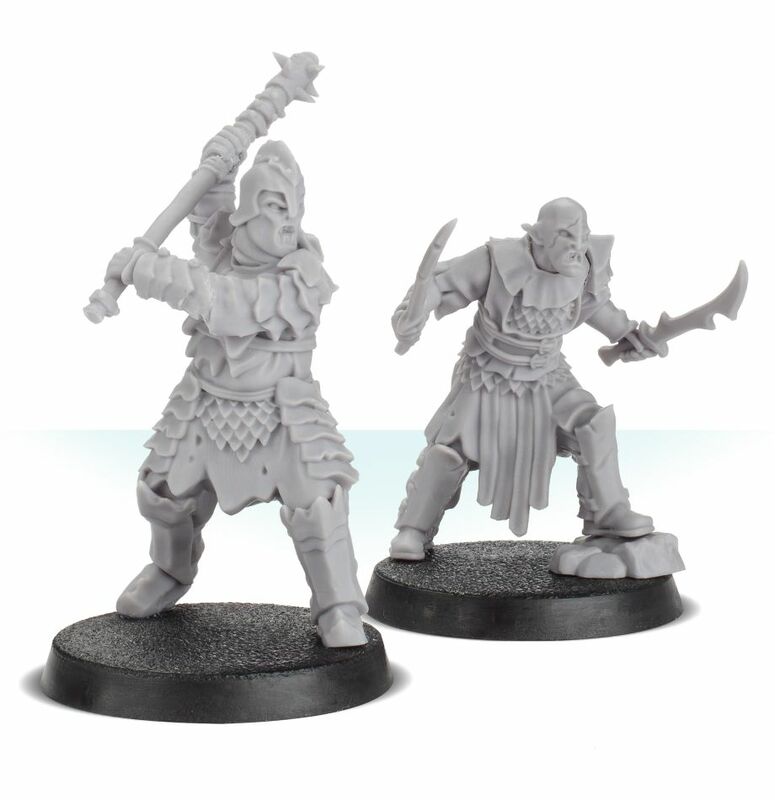 Goroth and Zagdûsh are two Heroes for the Mordor army lists. Goroth cares little for the lives of his minions, bodily throwing them in harm’s way should his own life be in danger. Zagdûsh is a recklessly aggressive fighter, happily forgoing self defence to lash out at his foes with even greater ferocity. They make great additions to an infantry-based force, where their brutality can help break open even the toughest enemy battle line. The set consist of 8 components cast in high-quality resin. Die beiden Orkhauptleute gefallen mir richtig gut! 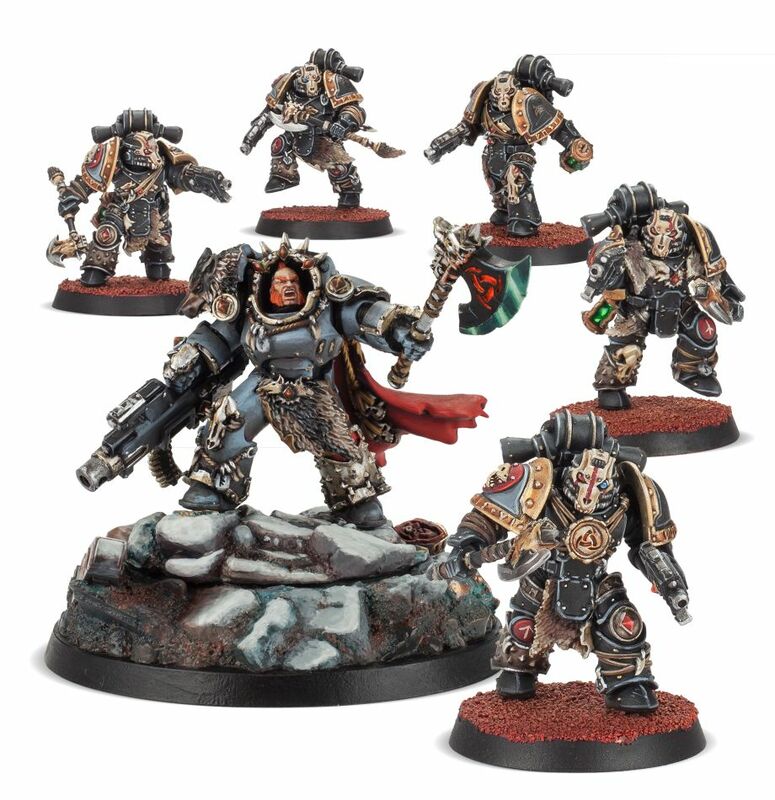 Sind die Deathsworn quasi die Blood Angels Todeskompanie, nur mit mehr Fell? 56 Euro für ein Tartaros Wolf Modell ? Ok mal überlegen. 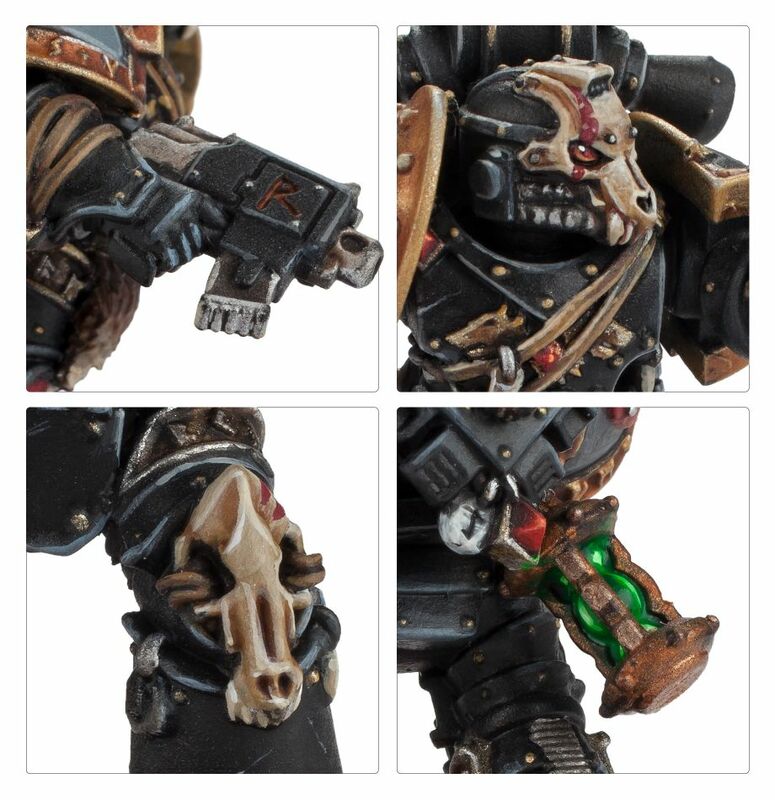 Tartaros Arm mit Maschinenkanone nehmen, die Kanone vorsichtig abschneiden und gegen einen Heavy Bolter ersetzen den man beim Bau der Tactical Horus Heresy Marines evtl. noch übrig hat. 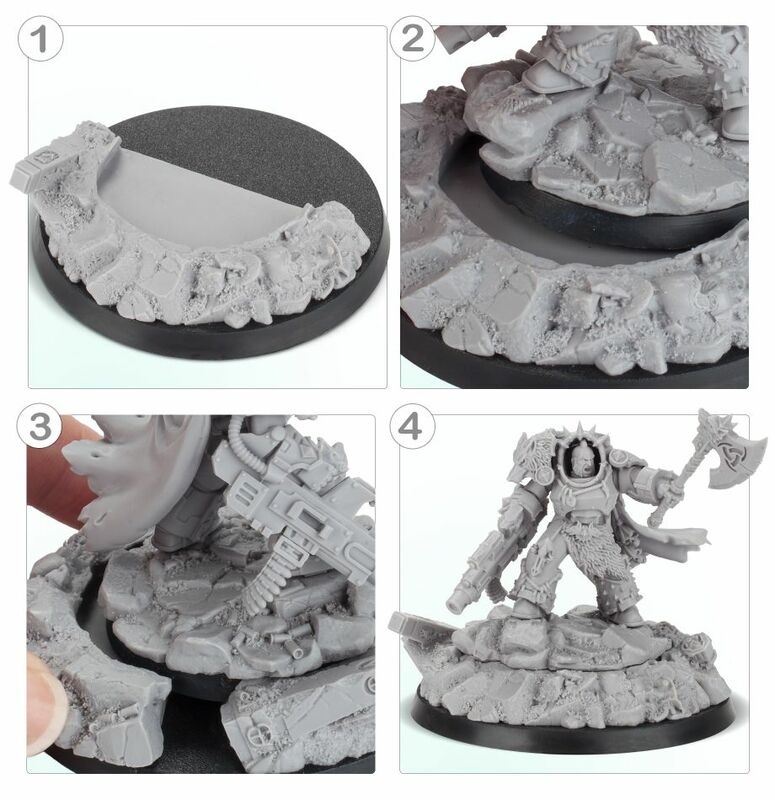 Kombiniert mit dem Schwertarm der Tartaros wo man das Schwert gegen eine Axt der Wulven austauscht..dann einen Kopf der Space Wolf Terminator nehmen, Kork Base und fertig ist die Sache und das Charactermodell kommt günstiger…kann man gerne auch mit anderen Space Wolf Teilen noch aufhübschen…generell aber alles über Ebay verfügbar und günstiger als das was Forgeworld da verlangt. Die Deathsworn sind allerdings richtig gut.